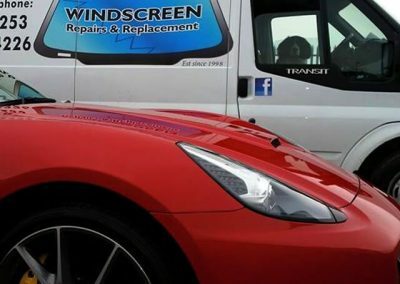 Great value mobile windscreen repairs in Blackpool and the Fylde coast. Local, Reliable and Very Competitive Prices. With over 20 years experience in providing services to all makes and models of vehicles. Bespoke glass – HGV & commercial vehicles. – Plant & Agricultural machinery – Van & Vehicle conversions. Of all types of body glass and windscreen to all makes of vehicles by our expert fitters. 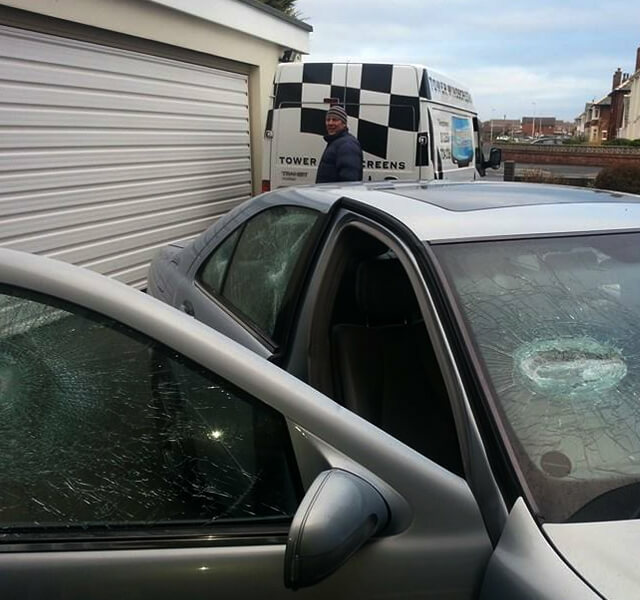 We can offer windscreen repairs subject to your policy conditions. We replace front, side, and Rear windscreens. 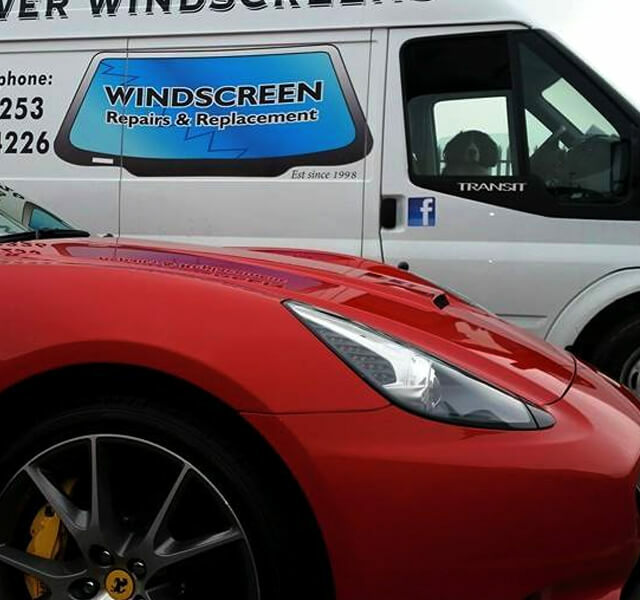 Tower Windscreens provides car dealership, outlets trading in pre-owned vehicles, fleet operators, body shops, and vehicle conversion specialist with a range of body glass and windscreen repair, replacement and installation services. Service is always at your convenience. Offering speciality services for cars such as Jaguars, Porsche, BMW, Mercedes, Bentley; as well as undertaking contracts with public sector organisations. When it comes to windscreen repair and replacement, Tower Windscreens have a clear vision of what superior service means. 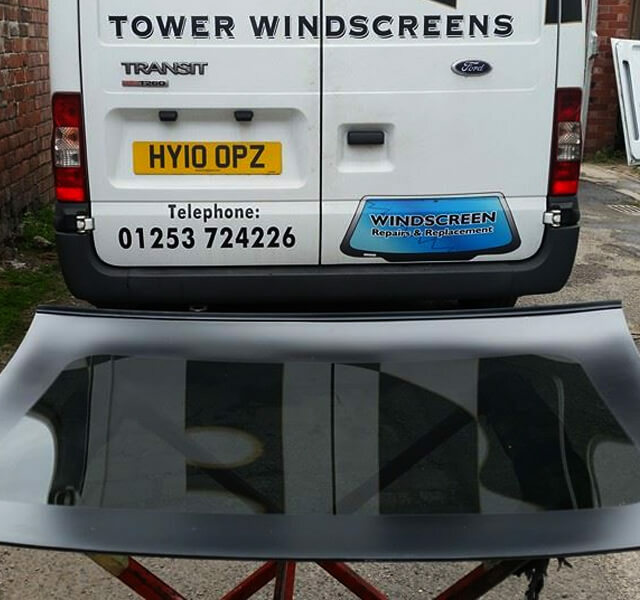 Tower Windscreens is the number one Independent vehicle windscreen glazing specialist on the Fylde Coast. Tower Windscreens prides itself on the quality, efficiency and pricing it provides to its customers. 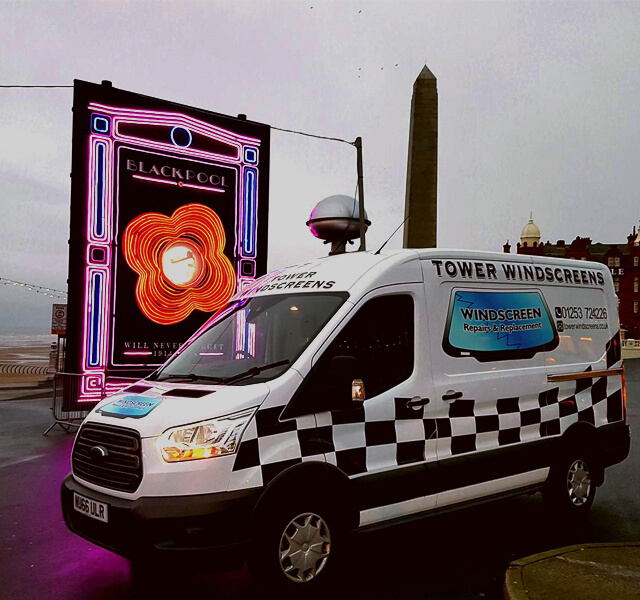 Tower Windscreens provide a cost-effective and efficient Call Out service to meet your windscreen repair and replacement needs. We specialise in the cosmetic repair of automotive windscreens on all cars and commercial vehicles. We only use the highest quality manufacturer approved glass when replacing car and commercial windscreens & windows. 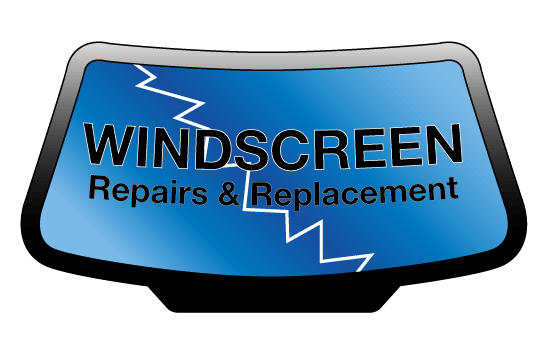 At Tower Windscreens we only use the highest quality manufacturer approved glass when replacing car and commercial windscreens and windows. This ensures that the glass we use is as good as the glass we will be replacing. Our window replacements are completed to a high standard with no inconvenience caused to the customer and all the work we carry out is fully guaranteed. We can replace your vehicle glass on the same day so you can get your car back on the road with a minimal delay. 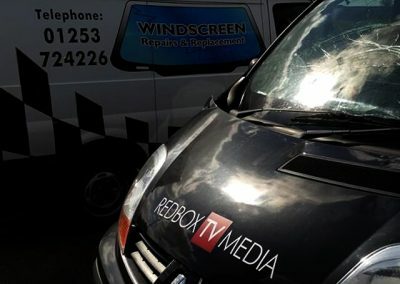 We also replace and repair van and commercial vehicle glass. 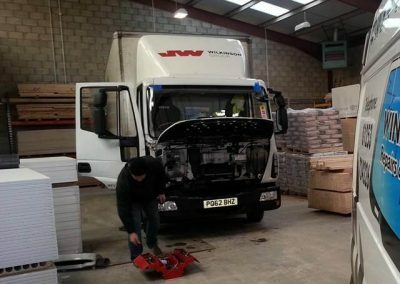 Our experienced fitters are highly trained to NVQ standards and have experience fitting all glass to all makes and model vans. 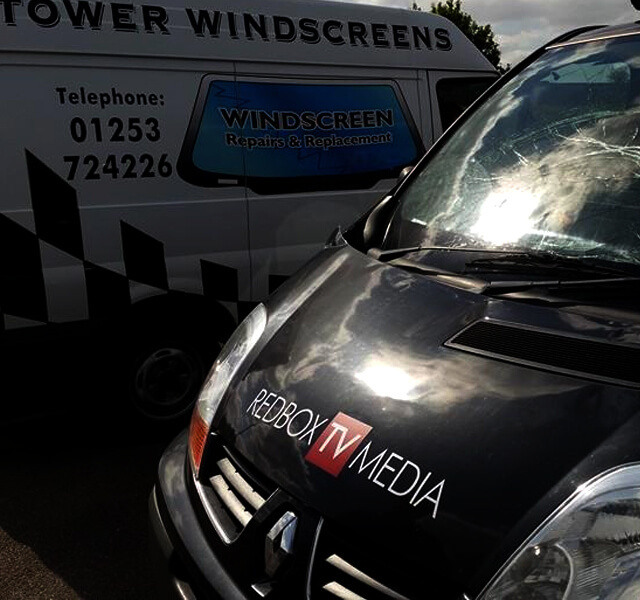 Have you been told by a large national company that your windscreen damage cannot be repaired? That’s not always the case. 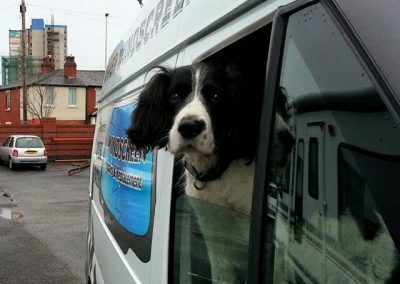 Here at Tower Windscreens, we have the very best windscreen repair equipment available on the market. 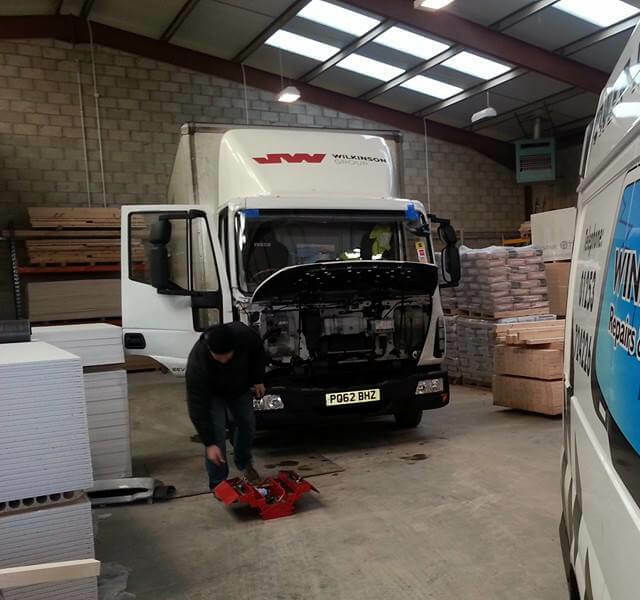 This equipment enables us to repair the damage that large windscreen companies will not attempt, as it is more profitable for them to replace your windscreen and bill your insurance company hundreds of pounds. 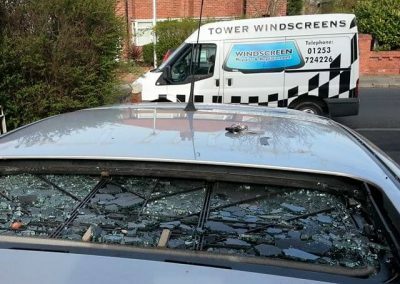 Tower Windscreens, on the other hand, are not out to replace your windscreen, we like to repair it instead. We achieve the best possible cosmetic results that our kit is capable of and offer every damage repair a lifetime guarantee. We can repair numerous types of windscreen stone chips and even multiple stone chips on your windscreen. If your chips are the size of a fifty pence piece or smaller, we can repair it. Once the smart repair is completed you will be left with nothing more than a tiny watermark in appearance and your windscreen will be back to 100% strength with a full guarantee of our workmanship. 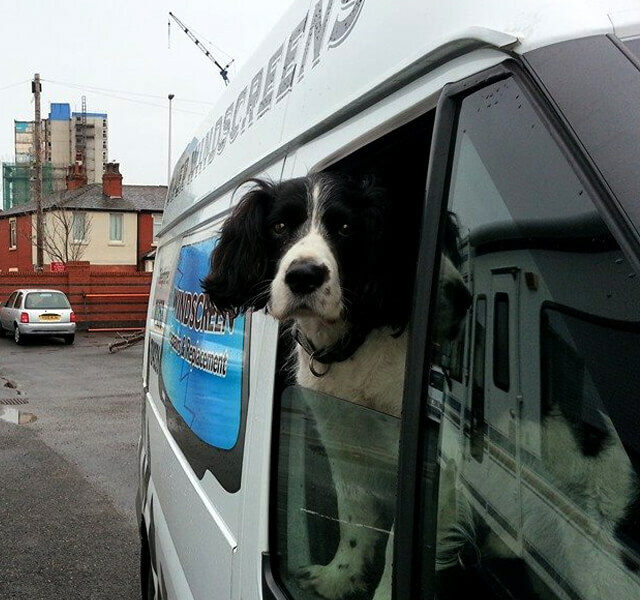 With so many cars on our roads in and around Blackpool, it is easy to pick-up windscreen chips whilst driving. Cracks chips can occur through motorway driving where road debris is thrown up by overtaking vehicles, or during ordinary town driving from the vehicle in front. A windscreen chip will not only look unsightly and affect your vision, it may cause your vehicle to fail an MOT, and it will affect the resale value of your car. 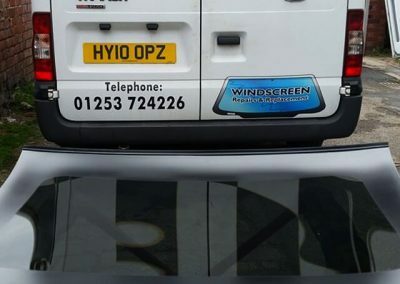 Call us now and you can be sure of receiving the best value professional windscreen service in Blackpool. 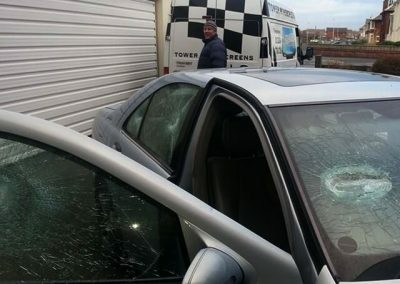 We will try and repair any windscreen stone chips first, but if the damage requires fitting a new windscreen we have a wide range of new windscreens in stock, meaning we can replace your windscreen without delay. 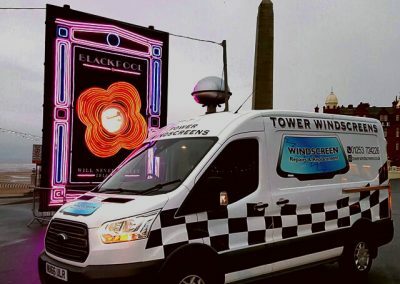 Tower Windscreens can arrange for our fitters to come to your office, site, or anywhere convenient to you. If you would like any further information about any of our services or book an appointment then don’t hesitate to call us on 01253 724226 and one of our fully trained helpful staff will be more than happy to help with your enquiry. Blackpool, Bispham, Cleveleys, Lytham, St Annes, Fleetwood, Poulton Le Fylde, Thornthon and Staining. 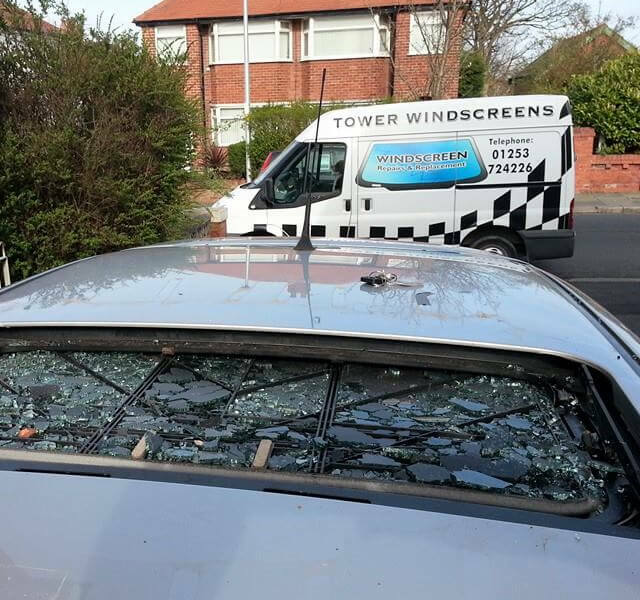 If you need windscreen chip repairs or a windscreen replacement service in Blackpool, make sure you contact us today.